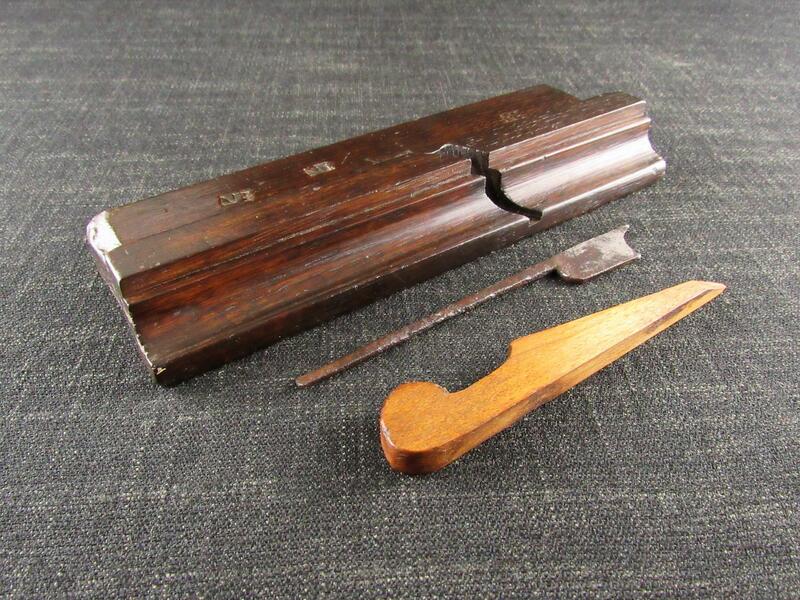 An unusual and interesting early moulding plane. 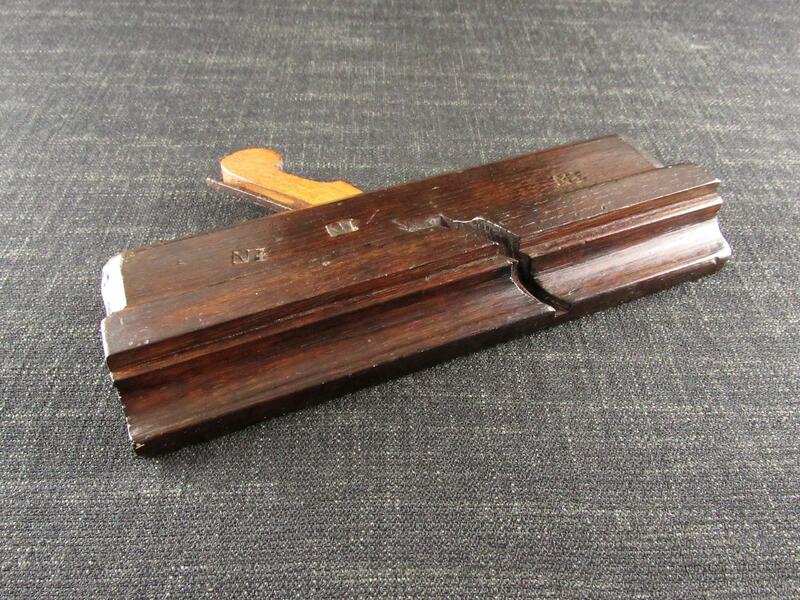 This plane has many of the features associated with the early English makers of the 18th century and before including its length of 97/8 inches, flat and wide chamfers, deep gouge cuts to the toe and heel, fillet between the shoulder and upper stock, early style iron and embossed maker's marks. 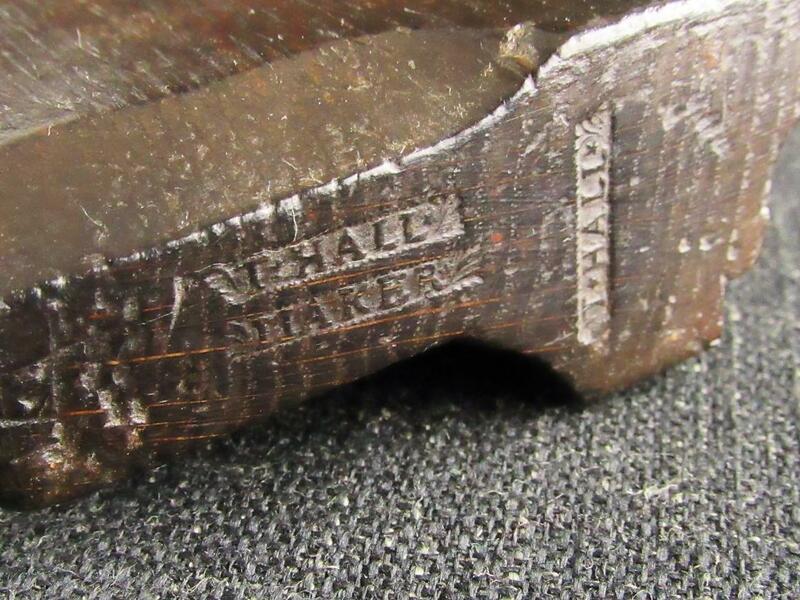 The embossed, unrecorded, maker's mark is made with two stamps to read 'T.HALL' over 'MAKER'. Unusually for a maker's mark there is also a second 'T.HALL' mark on the toe. 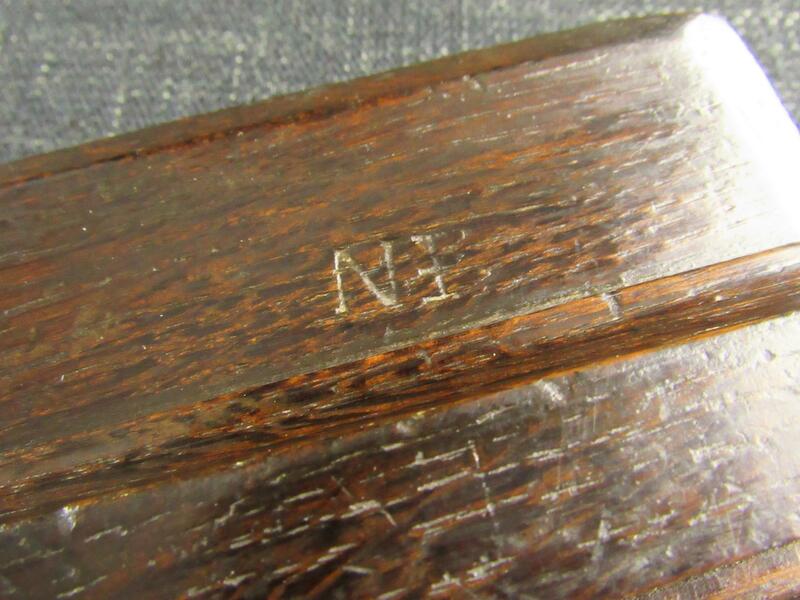 On closer inspection the top corners of the marks have star and leaf decoration, something we have not seen before on maker's or owner's marks. 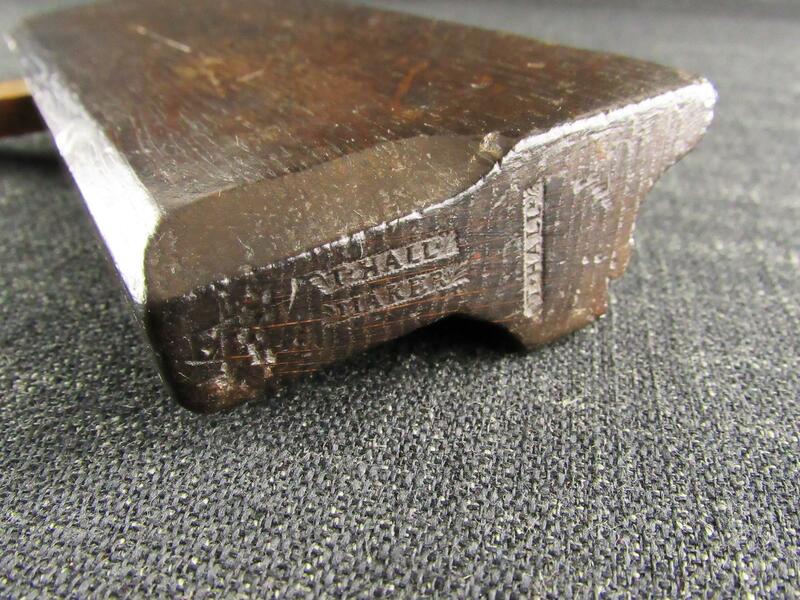 Although the wedge appears to be a later beech replacement the stock of this moulding plane is of oak, very unusual for a professionally made plane and possibly an indication that T.HALL was not a well established maker. This plane is obviously of some age, we are suggesting the early part of the 18th century or possibly a little earlier, and a bit of a conundrum.